We have installed a beautiful new MRI suite with a short-bore magnet. Withe a short-bore magnet, there is an improved comfort level which can ease the sensation of claustrophobia that some people experience with this procedure. Additionally, there are windows at the end of the bore to help alleviate these effects. Response to the natural cues of sunlight make this procedure a more pleasant experience at our facility. MRI allows for the evaluation of some body structures that may not be as visible with other diagnostic imaging methods. Imaging of the musculoskeletal system: MRI is often used to study the hip, knee, ankle, foot, shoulder, elbow, wrist, and hand. MRI is a highly accurate method for evaluation of soft tissue structures such as tendons and ligaments, which are seen in great detail, and which are not seen on standard X-Rays. Even subtle injuries are easily detected. In addition, MRI is used for the diagnosis of spinal problems including disc herniation, spinal stenosis, and spinal tumors. 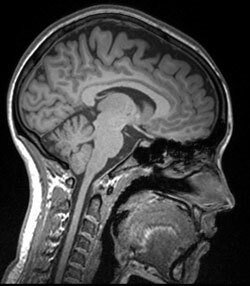 Imaging of the brain: MRI gives exquisite detail of the brain. It is useful to evaluate a large number of neurological disorders such as headaches, stroke, growth disturbances, seizures, and dementia. Imaging of the Abdomen and pelvis: Organs of the abdomen such as the liver, kidneys, and adrenal glands can be examined in great detail with MRI. This aids in the diagnosis and evaluation of tumors and functional disorders. Furthermore because there is no radiation exposure involved MRI is often used for examination of the male and female reproductive systems. WHAT CAN I EXPECT DURING MY MRI? Depending on how many images are needed, the exam generally takes between 30 to 45 minutes. However, very detailed studies may take a bit longer to complete. You may be asked to wear a gown during the exam or may be allowed to wear your own clothing if it is loose fitting and has no metal fasteners. Two piece clothing like elastic band pants, jogging pants, sweatshirt, or t-shirt is recommended. Even though the technologists must leave the room you will be able to communicate with them at any time using an intercom. If necessary, we allow a friend of family member to stay in the room with you during the exam. This is particularly true if you are a parent and you wish to remain in the room with your child. Depending on the part of the body being examined a contrast material may be injected into your vein to enhance the visibility of certain tissues or blood vessels in the body. The technologist monitors you throughout the exam and will tell you what to expect during the course of the exam. You will be in constant contact. Some patients experience a 'closed in' feeling called claustrophobia, which can lead to a strong desire to move into an open area. Our short-bore MRI machine has helped to alleviate this feeling and make the experience a more comfortable one. However if you still have an issue with claustrophobia, you can have your doctor prescribe tranquilizers to take prior to your exam. Be sure to have someone available to drive you home if this is your preferred method. You will hear loud tapping or thumping during the exam. Earplugs or earphones will be provided to you by our technologist. You also have the option of listening to music. You may feel warmth in the area being examined. This is normal but not uncomfortable. Some MRI examinations require the patient to receive an injection of contrast material into the bloodstream. The radiologist or technologist may ask you if you have any allergies of any kind, such allergy to iodine or x-ray contrast material, drugs, food, the environment, or asthma. The contrast material most commonly used for MRI exams is Gadolinium, and it does not contain iodine and is less likely to cause side effects or an allergic reaction. If a contrast injection is needed there may be some slight discomfort at the injection site. You may also feel a cool sensation at the site during the injection. 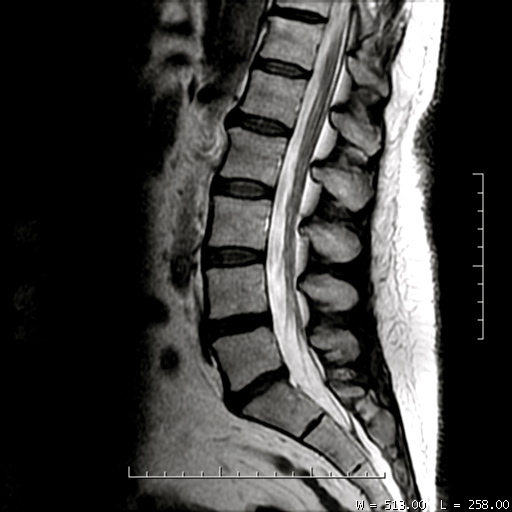 WHAT SHOULD TELL MY RADIOLOGIST? Kidney Problems: Some conditions such as severe kidney disease may prevent you from being given contrast material for an MRI. If there is a history of kidney disease, it may be necessary to perform a blood test to determine whether the kidneys are functioning adequately. Pregnancy: Women should always inform their physician or technologist if there is any possibility that they are pregnant. Pregnant women should not have this exam unless the potential benefit from the MRI exam is assumed to outweigh the potential risks. In most cases an MRI exam is safe for patients with metal implants with a few exceptions. People with the following implants CANNOT be scanned and should NOT enter the MRI scanning area unless explicitly instructed to do so by a radiologist or technologist who is aware of the presence of any of the following. TELL YOUR RADIOLOGIST THESE THINGS. In general most metal objects used in orthopedic surgery pose no risk during an MRI however, a recently placed artificial joint may require the use of another imaging procedure. If there is any question of their presence, an x-ray may be taken to detect the presence of and identify any metal objects. Patients who might have metal objects in certain parts of their bodies may also require an x-ray prior to an MRI. You should notify the technologist or radiologist of any shrapnel, bullets or other pieces of metal which may be present in your body due to accidents. Dyes used in tattoos may contain iron and could heat up during an MRI, but this is rarely a problem. Tooth fillings and braces usually are not affected by the magnetic field but they may distort images of the facial area of the brain, so the radiologist should be made aware of them. We have a radiologist scheduled on site so that the test will be interpreted promptly. The results will be faxed, phones, delivered electronically, or mailed to the referring physician. These results will then be shared with you by the referring physician.